"Yeah. Donald Trump is the symptom of a badly broken system", Warren said. According to details provided by a campaign aide after Warren's appearance at the National Indian Women Honor Luncheon, she introduced Wampanoag Tribe of Gay Head Aquinnah chairwoman Cheryl Andrews-Maltais, a tribal leader and former senior advisor to the assistant secretary of Indian Affairs during the Obama administration. In that speech, she promised to stand up for Native American issues and insisted, "I never used my family tree to get a break or get ahead". Warren has said the story of Pocahontas long has "been taken away by powerful people who twisted it to serve their own purposes". The senator was introduced by New Mexico Rep. Deb Haaland, one of the first two Native American women elected to Congress a year ago. "And what are we, as candidates, as activists, the press, going to do about it?" She also slammed Trump over his tweets, calling them "racist" and "hateful" and called for her supporters to ignore the President's comments and not to merely respond to every single action of Trump's. "Are we going to let him use those to divide us?" 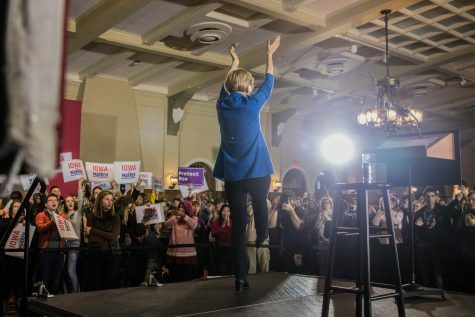 Warren officially announced over the weekend that she was running for president. Warren purposely claimed to be an "American Indian" on her Texas State Bar registration card, which is fraud.